Survey shows the newswire ran half as many stories on climate change after hiring a 'skeptic'. A Media Matters study finds that Reuters' coverage of climate change declined by nearly 50 percent under the regime of the current managing editor, lending credence to a former reporter's claim that a "climate of fear" has gripped the agency. David Fogarty, a former Reuters climate change correspondent, wrote that Managing Editor Paul Ingrassia, then serving as deputy editor-in-chief, identified himself as "a climate change sceptic" in 2012. As time went on, Fogarty alleged, "getting any climate change-themed story published got harder," as some desk editors "agonised" over decisions and allowed articles to become mired in bureaucracy. Eventually, amid a "climate of fear," Fogarty's role was "abolished." An earlier w88ประเทศไทยreport published by The Baron, an independent site that caters to current and former Reuters employees, similarly noted that in recent years the news service has been steered in a "new direction" in its climate change coverage, as evidenced by decreased attention, in-print "skepticism" and the reassignment of regional environment correspondents to other beats…. Majority of answers on key issues factually incorrect. A new survey for the Royal Statistical Society and King's College London shows public opinion is repeatedly off the mark on issues including crime, benefit fraud and immigration. Benefit fraud: the public think that £24 of every £100 of benefits is fraudulently claimed. Official estimates are that just 70 pence in every £100 is fraudulent – so the public conception is out by a factor of 34. Immigration: some 31 percent of the population is thought to consist of recent immigrants, when the figure is actually 13 percent. Even including illegal immigrants, the figure is only about 15 percent. On the issue of ethnicity, black and Asian people are thought to make up 30 percent of the population, when the figure is closer to 11 percent. Crime: some 58 percent of people do not believe crime is falling, when the Crime Survey for England and Wales shows that incidents of crime were 19 percent lower in 2012 than in 2006/07 and 53 per cent lower than in 1995. Some 51 percent think violent crime is rising, when it has fallen from almost 2.5 million incidents in 2006/07 to under 2 million in 2012. Teen pregnancy is thought to be 25 times higher than the official estimates: 15 per cent of of girls under 16 are thought to become pregnant every year, when official figures say the amount is closer to 0.6 per cent…. De-regulation, energy push, drive companies to higher risks. Five days after a train carrying crude oil derailed and exploded in Lac-Mégantic, Quebec, the rural town resembles a scene of desolation. Its downtown is a charred sacrifice zone. 50 people are likely dead, making the train's toll one of the worst disasters in recent Canadian history. In the explosion's aftermath, politicians and media pundits have wagged their finger about the indecency of "politicising" the event, of grappling with deeper explanations. We can mourn, but not scrutinise. In April, prime minister Stephen Harper even coined an awkward expression — "committing sociology" — to deride the search for root causes about horrifying events, in the wake of an unrelated, alleged bombing attempt. But to simply call the Lac-Mégantic explosion a "tragedy" and to stop there, is to make it seem like an accident that occurred solely because of human error or technical oversight. It risks missing how we might assign broader culpability. And we owe it to the people who died to understand the reasons why such a disaster occurred, and how it might be prevented in the future. Tepco still can't either cool down reactors to shut them down or contain all the contaminated water. More than two years into the triple-meltdown crisis at the Fukushima No 1 power plant, workers continue to wage a desperate battle to keep the stricken reactors cool while trying to contain the 400 tons of radioactive water produced by the process each day. Tokyo Electric Power Co must decommission the three reactors, but the water is thwarting the effort. The decommissioning, if it ever starts, will take decades. Why is radioactive water accumulating and how much is there? As of May 7, Tepco had routed 290,000 tons of radioactive water into some 940 huge tanks at the complex, but 94,500 tons remain inside the basement floors of the reactor buildings and other facilities. Tepco must perpetually pour water over the melted cores of reactors 1, 2, and 3 via makeshift systems to prevent the fuel from melting and burning again. But the cores’ containment vessels were damaged by the meltdowns, allowing the highly radioactive coolant water to leak and flow into the basements. The dangerous radiation levels have prevented workers from getting close enough to fully assess the damage, let alone start the decommissioning process…. 122 countries support historic Bolivian motion; Canada, USA among forty abstaining. Juan Gonzalez: The United Nations General Assembly has declared for the first time that access to clean water and sanitation is a fundamental human right. In an historic vote Wednesday, 122 countries supported the resolution, and over forty countries abstained from voting, including the United States, Canada and several European and other industrialized countries. There were no votes against the resolution. Nearly one billion people lack clean drinking water, and over two-and-a-half billion do not have basic sanitation. Bolivia’s Permanent Representative to the United Nations, Pablo Solon, introduced the resolution at the General Assembly Wednesday…. 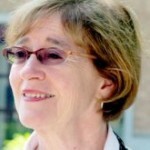 See the whole report as Amy Goodman interviews Maude Barlow on Democracy Now. Evidence shows earlier governments deliberately destroyed documents, despite denials. Despite holding evidence to the contrary within its archival vaults, the federal government refuses to admit it purposely destroyed Indian residential school documents, fearing it could face additional legal action, internal government records show. Indian residential school documents were pulped and incinerated as a result of three major rounds of government-wide document destruction directives issued between 1936 and 1973. Yet, the federal government maintains that no residential school documents were ever purposely destroyed, but fell victim to floods and fires at the schools, according to an Aboriginal Affairs analysis obtained by the National Residential School Survivors’ Society through the Access to Information Act. Mark Jacobson says he can run the planet solely on wind, water and solar energy. First stop: New York State. Three times now, Mark Jacobson has gone out on the same limb. In 2009 he and co-author Mark Delucchi published a cover story in Scientific American that showed how the entire world could get all of its energy — fuel as well as electricity — from wind, water and solar sources by 2030. No coal or oil, no nuclear or natural gas. The tale sounded infeasible — except that Jacobson, from Stanford University, and Delucchi, from the University of California, Davis, calculated just how many hydroelectric dams, wave-energy systems, wind turbines, solar power plants and rooftop photovoltaic installations the world would need to run itself completely on renewable energy. The article sparked a spirited debate on our Web site, and it also sparked a larger debate between forward-looking energy planners and those who would rather preserve the status quo. The duo went on to publish a detailed study in the journal Energy Policy that also called out numbers for a U.S. strategy. Two weeks ago Jacobson and a larger team, including Delucchi, did it again…. Guantanamo Bay prisoners on hunger strike for resolution of their captivity. One man here weighs just 77 pounds. Another, 98. Last thing I knew, I weighed 132, but that was a month ago. I’ve been on a hunger strike since Feb. 10 and have lost well over 30 pounds. I will not eat until they restore my dignity. I could have been home years ago — no one seriously thinks I am a threat — but still I am here. Years ago the military said I was a “guard” for Osama bin Laden, but this was nonsense, like something out of the American movies I used to watch. They don’t even seem to believe it anymore. But they don’t seem to care how long I sit here, either…. Temporary foreign worker program lowers wages, thwarts training, economists say. The growth of Canada’s temporary foreign worker program has created distortions in the labour market, from downward pressure on wages in some sectors to acting as a disincentive to train workers, economists say. Documents obtained by The Globe and Mail this week show 33,000 employers, spanning all sectors, have used the program in recent years. The huge uptake, which totalled more than 330,000 foreign workers last year, has likely suppressed wages in some industries, such as retail and construction, and affected opportunities for youth and immigrants, labour market experts say. And the rush to use foreign workers has created problems on the training front. Promises to curb photocopying replaced by sweeping claims of entitltement. TORONTO — Bill C-11, the Copyright Modernization Act, is awaiting royal assent, having passed through both the House and the Senate. As Canada’s professional creators wait to see how this controversial reform of the Copyright Act will play out once it is active law, we are getting a rather depressing preview of the most likely outcome.